Matt is passionate about introducing the power performance management applications to his clients. He enjoys working with companies to leverage technology to shape the future of their business. Matt has partnered with the firm’s outstanding client base since 2001 to improve their decision making abilities and business processes. Matt works with the eCapital Advisors Business Development and Delivery teams to help prospects and customers identify, position and execute successful performance management initiatives. 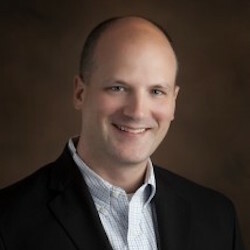 Matt has worked with many varied industries and technologies at eCapital and prior to eCapital as a member of the Accenture PeopleSoft organization. Matt holds B.A.’s. in Computer Science and Economics from the University of St. Thomas in St. Paul, Minnesota. In his spare time Matt can be found golfing with friends, playing chauffeur to one of his 3 boys’ activities, enjoying a local restaurant with this wife Meighan or planning his next travel adventure.